When society fails to provide the tools for the children to rise and not only have dreams but to achieve them it falls to the responsible adults to Bridge that Gap. Tawanda Vandroff is a concerned Citizen who not only saw this void but built an Organisation to address it. 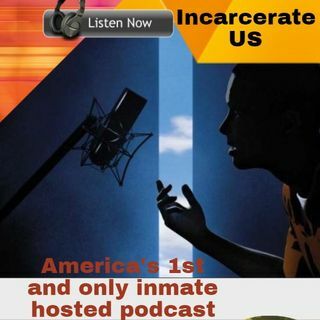 Here at Incarcerate US we were extremely honoured to have Tawanda on the show, as you listen you will feel the passion and urgency she embodies and uses to pursue quality of life for all the youth, that Mass Incarceration is a ... See More thief, a manipulative and clever thief stealing young lives and steam rolling over the ambition and self belief of teens across the Nation. If your eyes, heart and mind agree with Tawanda then please contact her and offer your assistance and support, let's close the gap and bring communities and Prisoners together in a united voice for change! S. Tawanda Vandroff is a free spirited and genuine woman who is willing to work and has a burning desire to help others and a passion for learning. She is extremely determined and has the willpower to go the distance. Tawanda is a woman on a mission: to empower others to identify and fulfill their destinies. She accomplishes this by paying it forward, reaching and teaching others, and encouraging them to do the same. Tawanda Vandroff is a visionary with the strong belief in paying it forward and helping others. She was raised by her parents in a small town called Mullins, SC. She is the oldest of three children, which pushed her at a very young age to be responsible and compassionate in order to help her siblings and others. It was during this time that Tawanda realized that one of her passions in life was to do good. Despite the challenges of growing up in small town, struggling and living in poverty, Tawanda persevered. She graduated from high school, went to college and earned a Bachelor’s Degree, and attended graduate school for two years. A.C. publishing has been created to assist incarcerated writers in achieving their dreams of becoming a published Author. We wanted to create a company that would reach those behind the walls and extract talent thru arts, entertainment and creative writing. We are building a Nation of Authors that are currently locked down physically however their minds expand way beyond the walls. We will give you one book at a time and bridge the edge back to reading. AC2BTG Publishing is a board based publishing and media company with the main focus in publishing books for men and women in prison. Another Chance 2 Bridge the Gap has a goal to bridge the Gap between men and women in the federal and state prisons with the people in the Community. This division has been established in 2013. Our goal is to provide international resources for prisoners to secure a strong hold in the literary industry. Our purpose is dedicated to empowering inmates and non judgemental readers. We can't reach our goal of helping our Authors have maximum exposure without the help of family, friends and the entire community. If you love to read, if you love helping people, if you believe people deserve another chance or whatever you reason is, we need your help! We are Another Chance 2 Bridge the Gap and the time is NOW! "You are the writer of your life." WE ARE HERE TO SERVE AND HELP PEOPLE REGARDLESS OF RACE, COLOR, CREED OR RELIGION. OUR MISSION IS TO HELP BRIDGE THE GAP BETWEEN PEOPLE IN THE COMMUNITY AND PEOPLE IN PRISON. WE KNOW AND REALIZE THAT SOCIETY IS IN TROUBLE AND THAT WE ARE THE CHANGE THAT WE WANT TO SEE. OUR MISSION IS TO BUILD AND REBUILD RELATIONSHIPS WITH OUR FAMILIES, FRIENDS AND EVEN OUR ENEMIES IN ORDER TO MEET A COMMON GOAL OF HELPING THE PEOPLE. OUR MISSION IS TO BE ABLE TO GIVE A BETTER LIFE TO OUR CHILDREN THAN THE LIFE THAT WE HAVE LIVED. OUR MISSION IS TO LIVE AND NOT DIE! OUR MISSION IS TO BE A PART OF THE SOLUTION AND NOT THE PROBLEM.